There's no way around it. 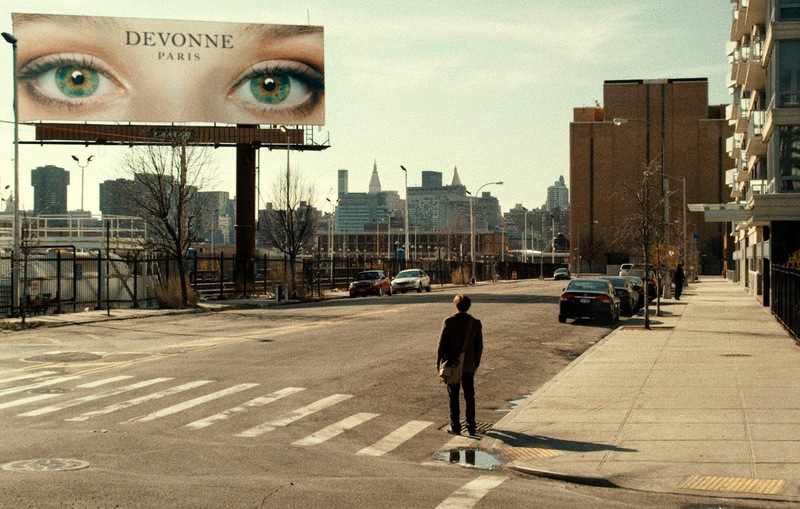 I Origins is one of the worst films I've seen all year and maybe even ever. Worse yet, it isn't even so bad it's good. As nicely acted as it is, the new-agey romance is excruciating to sit through. It's one thing for I Origins to be hokey. That's not often my bag when it comes to romances. But frankly, I expected more from the team of writer-director Mike Cahill and actress Brit Marling, who last collaborated on the well-received Another Earth. That's one I hadn't yet caught up with and now, I'm not so sure I want to. 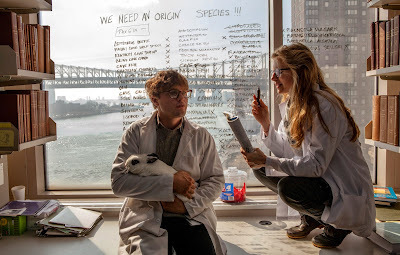 I Origins stars Michael Pitt as Ian, some kind of ocular scientist studying the evolution of the eye with his lab partner Karen (Marling). Ian is so into eyes, he has an odd habit of asking strangers permission to take hi-res photos of their peepers. That's how he meets cute with the pixieish Sofi (Astrid Bergès-Frisbey), a pedantic true believer who debates atheist Ian on the existence of some mystical entity vague enough to be inoffensive to moviegoers subscribing to any belief system. But then Sofi dies quite horribly. Ian marries Karen and they have a baby who may or may not be the reincarnation of another recently departed stranger. The proof is in the eyes, setting Ian on a mission to find Sofi's new incarnation somewhere in India so he can get some closure on his unanticipated loss. I've been known to have a soft spot for properly executed fantasies like Map of the Human Heart or even the treacly Ghost because true love can be a byproduct of good timing and near-magical instances of coincidence. But the signposts Cahill utilizes to get this across are shallow: a momentary alignment in reality in causes the number 11 to recur everywhere though there's really no connection established to that number; Ian smells Trésor, presumably a perfume worn by Sofi, at crucial moments that generally play more like product placement for Lancôme. The manipulative, half-baked picture's worst offense is the manner in which Sofi dies, a grisly dispatch that would feel more at home in a Brian De Palma film than it does in this convoluted mess. It's a turn so grotesque that the pretentious film never really recovers from its intrusion. Overwrought and always reaching for faux-profundity, the fact that I Origins even got a theatrical release just boggles.